Kopeikin Gallery in Los Angeles presents work by Los Angeles-based artist Mei Xian Qiu. The exhibition is titled Qilin, after the Chinese mythical creature, which is itself a combination of the four most sacred beasts in Chinese mythology. This creature of innate hybridism and duality, represents simultaneously and truth. Qilins signal the passage of the wise and is the compass to the West. 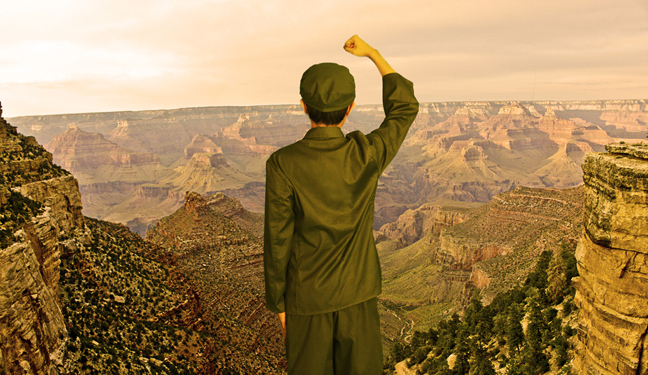 Qiu’s photographs show symbolism and historical dystopianism. Never forgetful about the past, this body of work engages the constitution of the future, affirmatively critical, specifically with respect to globalism, the identity of the self and self view, the social landscape, post-colonialism and that of the larger national body politic. 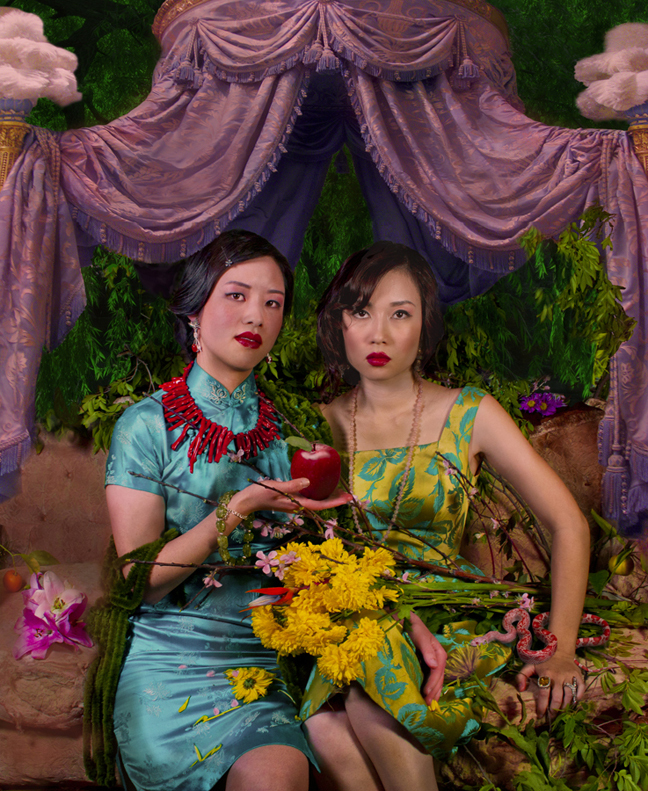 The series is an extension and includes images from Qiu’s previous series Let a Thousand Flowers Bloom, which portrayed a Chinese takeover of the United States. The exhibition Qilin can be viewed until April 19.